It's more fun in the Philippines. I agree with this tagline. It's obvious that travel became a major activity of many people nowadays. So when I had a chance to revive my travel writing gigs, I thought of writing about our latest finds in Dipolog City. My husband prodded me to visit some affordable snack houses in the city. He wants to eat halo-halo and siomai for a change. Our regular Saturday visit at bazaars is monotonous. One afternoon, we had a wonderful dining experience at a snack house located near the Boulevard. 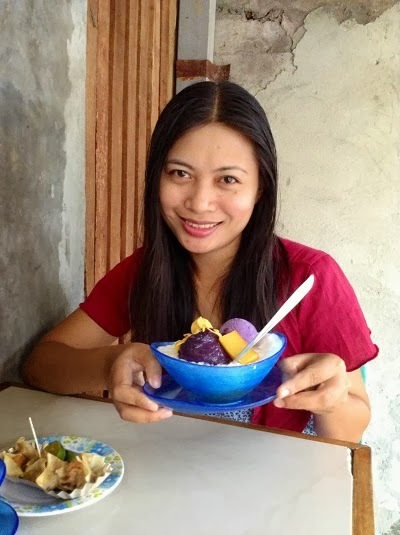 For P90, we enjoyed two orders of halo-halo and siomai. I remember my first visit in this place as a blogger. The team also visited the snack houses at that time. The particular dining place that we visited now has changed. It became a chic dining area for their customers. It's also located near the beach. Imagine the comfort and fun we had.